If you're one of the many business owners who uses credit card processing as a method of payment, then you’re more than familiar with transaction fees (also known as merchant fees). Most credit card processors will deduct these fees from the original payment made by your customer. You're then left with the net amount in your Wave account and a fee you need to account for. You sent an invoice to your customer for $100 and they paid with PayPal. PayPal deducted $3 in merchant fees and sent you a deposit of $97. Since your bank account is connected to Wave, the transaction for $97 was imported automatically. You now have an outstanding invoice for $100. You need to mark that invoice as paid, and account for the merchant fee. Head over to Accounting > Transactions and locate the net deposit. Click the down arrow on the right of the transaction and select Split. 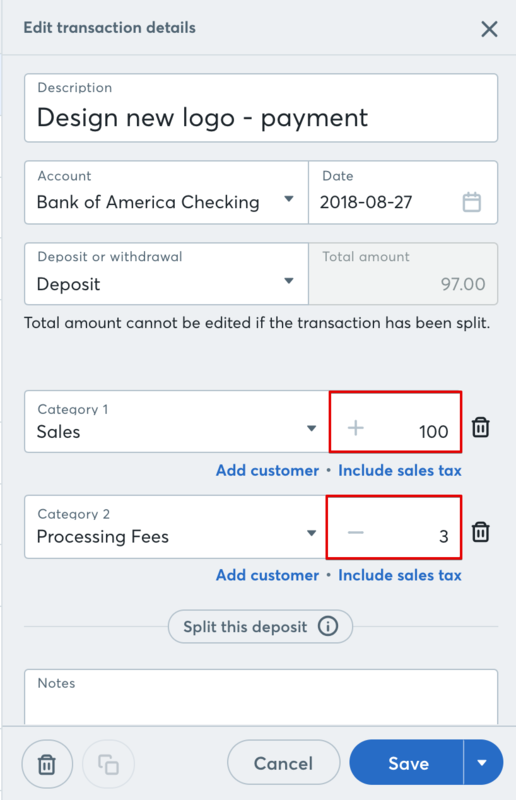 Split the transaction into 2 parts: $100 and -$3 (notice there is a negative next to the $3 amount - this is to ensure that the total equals $97). 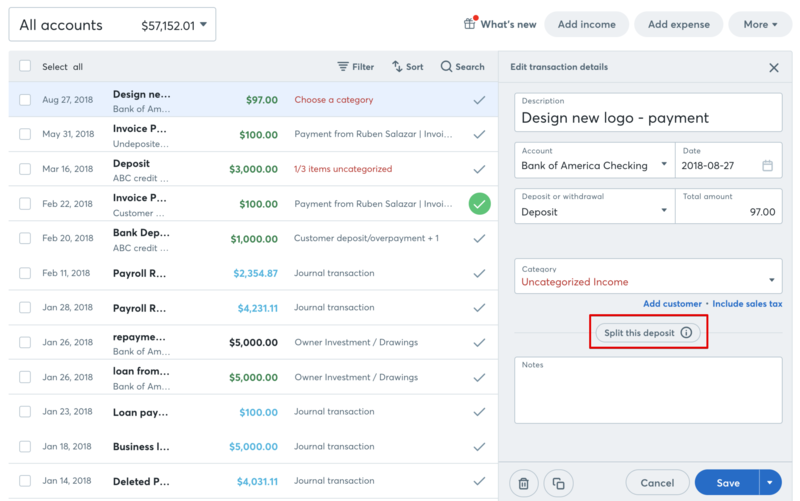 Select the new $100 transaction and click the down arrow on the right, then Create Invoice Payment (if applicable, if not - see Step 5). If you do not have an invoice for this customer, simply categorize the $100 into the appropriate income account for your business. 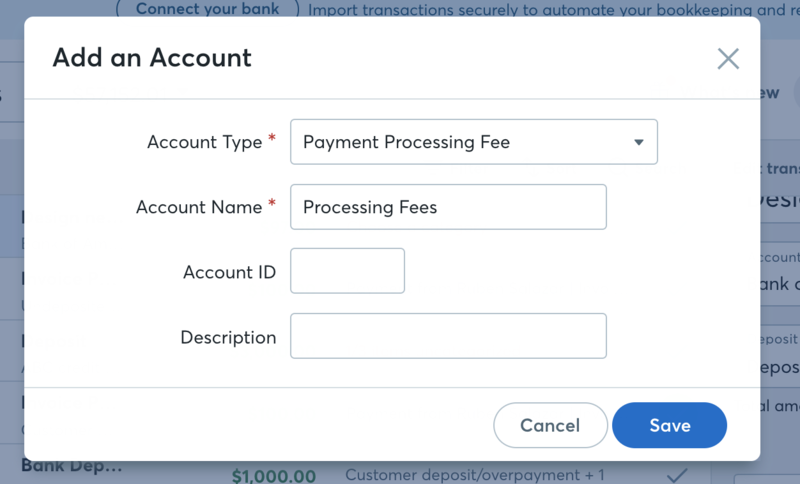 Categorize the $3 expense transaction into the Merchant Account Fees expense category. Click into the transaction detail view and select Split this deposit. To make the $3 fee negative in Wave, select Discounts and Fees from the category dropdown. The transaction will automatically be marked as negative. Select the new $100 portion of the transaction and apply it to the relevant invoice, if applicable. If not, see Step 5). Categorize the $3 expense transaction under the Discounts and Fees expense category. You can create an account here now if you don't have one already. Here, we're calling it Processing Fees. This will automatically make this portion of the transaction a negative amount.